“This summer I made the unusually daunting choice to sell my home. Typically, this process, not only frightening, but also a hopeful moment of change in our lives, can be mind numbingly stressful. Luckily, there are some professionals that are extremely adept at making a home sale much more pleasant and sometimes downright painless. Probably the most important choice for a smooth transition through the minefield of details is a realtor. The fine woman I chose, Anastasia Sheldon, is a pillar of knowledge, organization and professionalism. 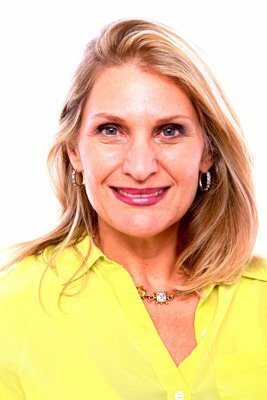 Her integrity in assisting me with selling my home, made the sale not only problem fee, but really shined, anytime I needed a question answered, a problem solved, or a solution recommended. Every aspect of the sale was creatively and completely managed with confidence and care. With the added benefit of hindsight, I made just the right choice bringing Anastasia into my life. With the highest regard and respect, I recommend her as your Realtor when you next decide to buy or sell a home. She is a consummate professional in the complex world of real estate. “This has been quite an experience. Selling my house. A huge transition. When I made the decision to sell, I felt very alone. However, Anastasia started working with me I felt that I had a partner. She was always available. She’d push me when I needed pushing and backed off when it was appropriate. She was professional but wasn’t afraid to say, “I don’t know.” Her energy and enthusiasm are to be reckoned with. I felt Anastasia represented my interests so well that I would trust her to arrange a marriage. “A friend recommended Realtor Anastasia Sheldon when my husband and I were shopping for a Realtor. We used to be kind of skeptical about realtors, but Anastasia changed that forever. I can honestly say that she worked SOOOO hard for us and had our best interests at heart at every step in the process. She managed every inspection (we were not in the state at the time) and when we were able to meet her at the property she always had hot coffee and yummy pastries/snacks for us. We lovingly nicknamed her “The Warrior with Treats!” It was such a relief to know that she was "on it!" so we never felt overwhelmed or uninformed. I happily recommend Anastasia to anyone in market to sell or buy real estate in Marin County. She is a fantastic negotiator, she responds immediately to any contact, and she anticipates problems so that she can navigate around them. She is five star! “In this competitive real estate market, it is critical to have a great agent to represent your needs. I cannot recommend Anastasia enough. My offer was accepted over three other nearly identical offers. It was Anastasia’s professional extra touches that made the difference. In selecting an agent I would say the top qualities are 1) knowledge of the area and the process, experience and reputation, 2) ability to build a great team, and 3) responsiveness to your needs. Anastasia has the reputation--any time I spoke of her it opened doors. She has extensive contacts and trusted teammates from the escrow officer, mortgage broker to general contractors for inspections and insurance etc. Finally Anastasia learned my style and budget very quickly, so that when the opportunity appeared we were ready to fight for it. “Anastasia is amazing. She found us the most perfect home which is no small feat in the highly competitive Marin market. The home we finally decided on and purchased was on the market for 1 day. Just 1 day. She was full of thoughtful advice and always kept our best interests in mind. She knows so much about the entire process of buying a home from making a competitive offer to what inspections are necessary to how to close with ease. She really thought about our needs as a family and carefully selected homes that would work for us. When we are ready for our next house I will gladly ask for Anastasia to represent us. “My wife and I were first-time homebuyers in the toughest market there is. And to be honest, we were on the fence whether to even by or just continue renting. We appreciated Anastasia’s honesty and genuineness. It didn’t feel like she was trying to force us into the decision to buy a home just to get the commission. She was very good at responding through email, phone, or texts. “Anastasia helped us find a better house than I ever thought we could afford in Fairfax. She was straightforward, knowledgeable and advised us how to make our offer more competitive without going over our budget.